With the busyness of the festive season, I thought it will be best to share a quick and simple yet delicious dish. This dish can either be served as a side or a party snack. Happy wrapping!! Preheat your oven to 200°C/400°F/Gas Mark 6. 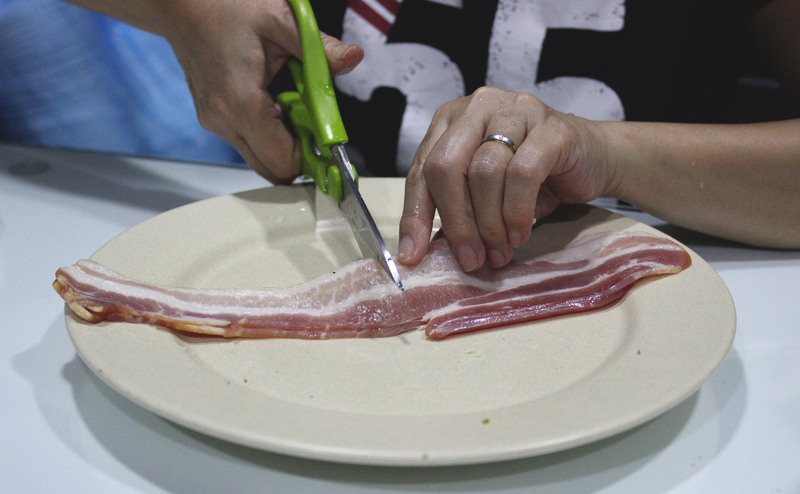 Cut each strip of bacon into half and set aside. 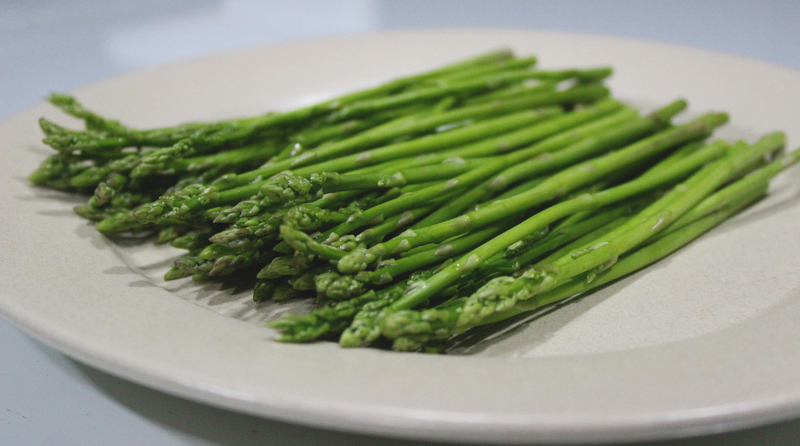 Trim the ends of the asparagus. Put 6 shoots together and ensure that they are even at the trimmed end. 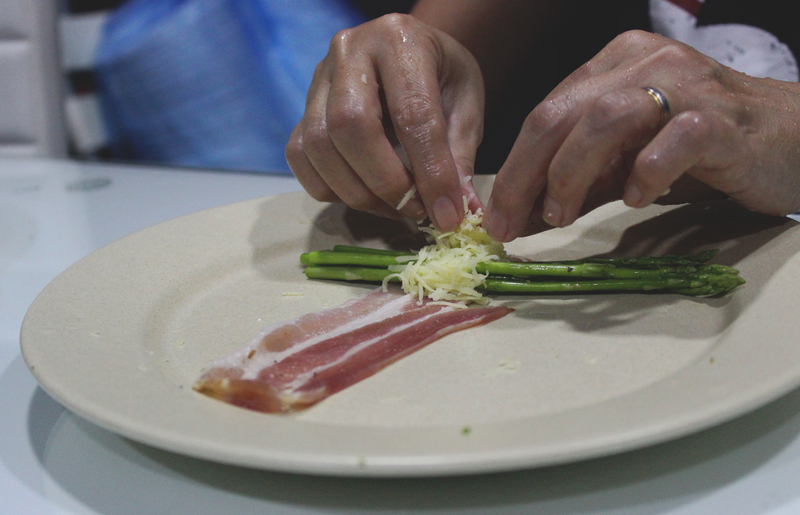 Place the bacon about 2 cm away from the top of the asparagus and sprinkle some cheddar cheese on the asparagus then start to wrap the bacon around the cheese and the asparagus. Repeat the step till you’ve finished wrapping all your asparagus. 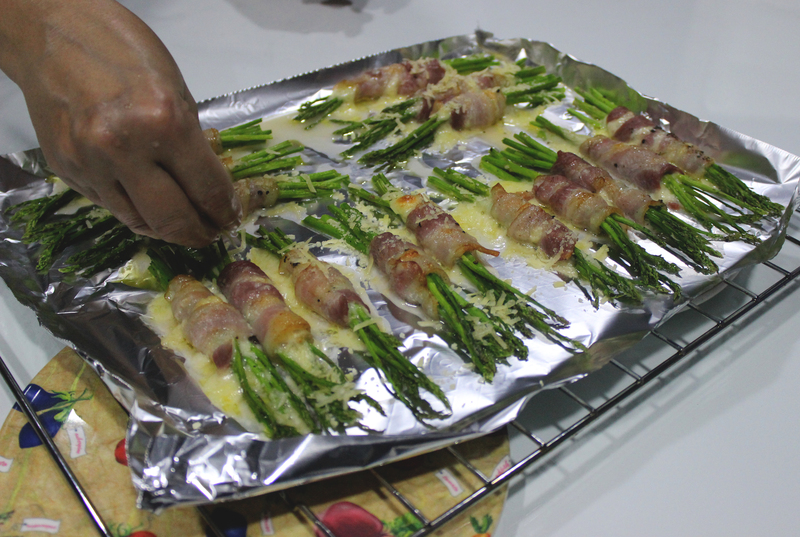 Set your wrapped asparagus aside on a baking tray. 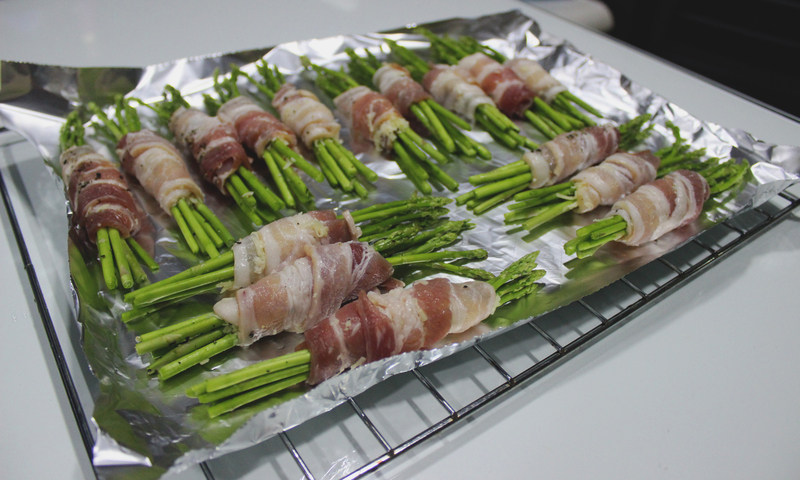 Place your wrapped asparagus into the oven and bake for about 4 to 5 minutes or till bacon is a little crispy. Half way through the baking you may want to sprinkle some of the parmesan cheese on top and continue baking. Repeat steps 7-8 if you have any remaining wrapped asparagus. 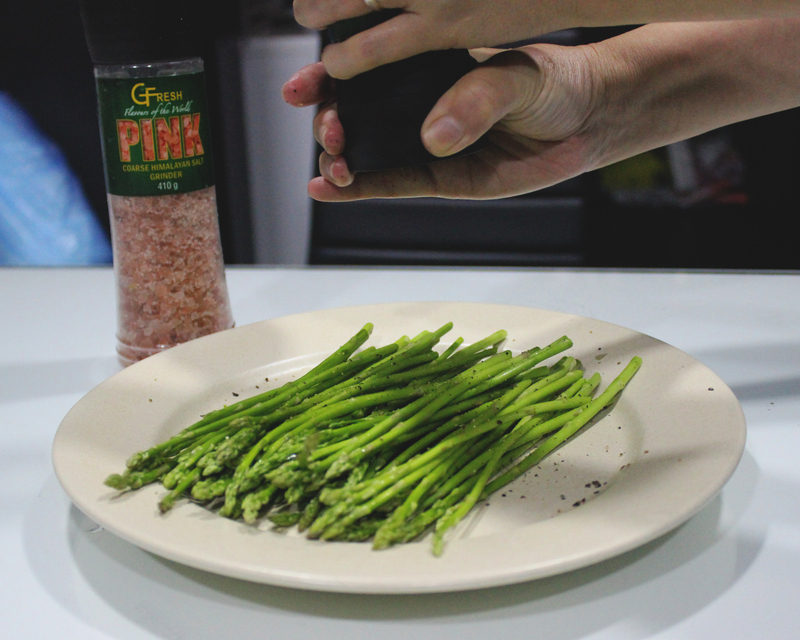 Sprinkle any remaining Parmesan over the cooked asparagus and served. Heat a pan over medium heat and add some olive oil or cooking oil. 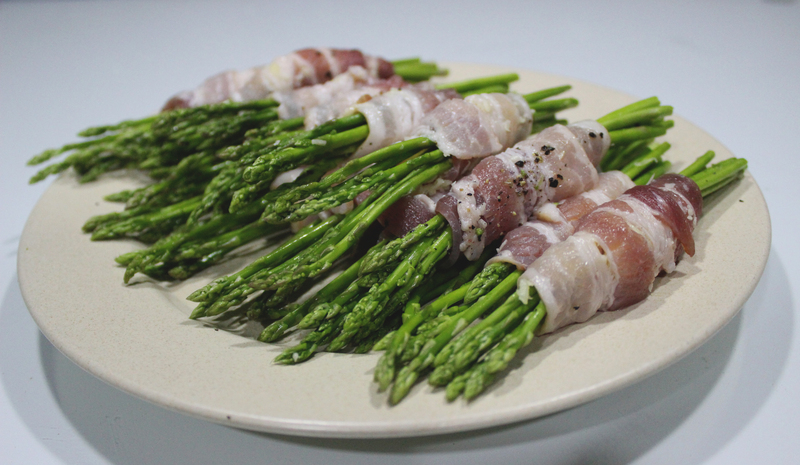 Place the bacon wrapped asparagus in and fry them, in batches, for 3 to 4 minutes till the bacon is golden brown and the asparagus is a little on the crunchy side. Remove them from the pan and set them aside. Repeat the process for the remaining wraps. That looks so yum, I love asparagus!